Outside the city limits, it’s a hive of activity as well. 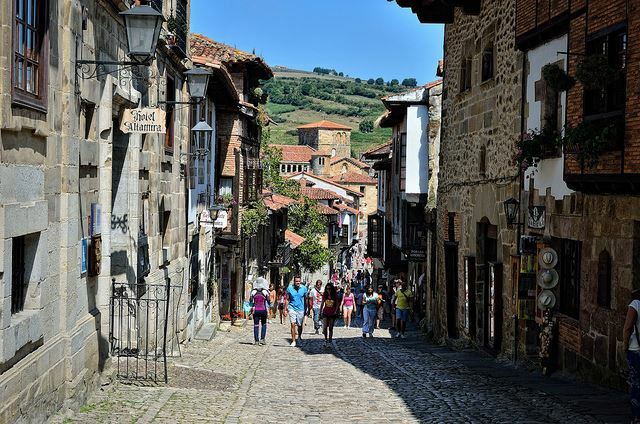 With the arrival of Spanish school holidays, hundreds of Cantabria’s towns and villages are bustling with the return of their families for the three months from the larger centres of population. It’s hard to beat the beaches, green scenery and cool evening air. Then you have the Northern European families arriving into the region by plane or ferry to enjoy the Cantabrian and Spanish cuisine, to see Europe’s oldest cave paintings and do some walking in the mountains and valleys of Green Spain. The surf schools are busy running their first surf summer camps of the season. 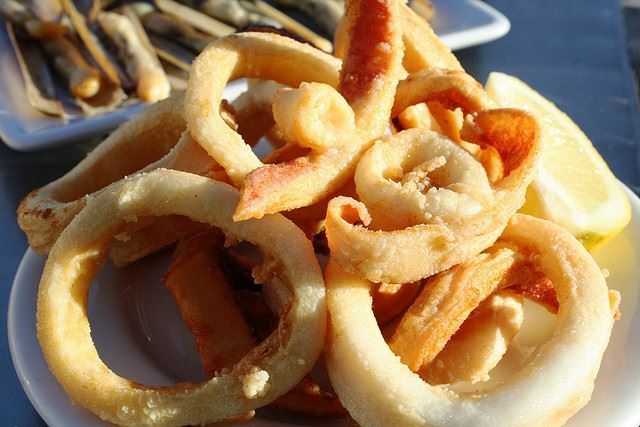 And the restaurants and bars are busy serving the freshest and tastiest rabas (squid), sardines and bonito (Northern tuna-steak) – it’s a great time to be in Cantabria! Talking about sardines and fresh tuna earlier has made us thirsty. You might not expect it but Cantabria has some lovely wineries and a few distilleries. We recommend Bodegas Vidular which we wrote about here and Dougalls craft beers are going down a storm all over Spain. Meet owner Andrew, originally from London, in his brewery in Lierganes which is a charming little town with a big heart. Afterwards take a walk about the town, see the medieval market and enjoy some chocolate and churros in one of the many cafes! Read our post about Cantabrian cuisine and ask us about the many wonderful Michelin-star restaurants in the region to compliment the more casual dining options you’ll find easily in every town and village. Whether you arrive by car, plane or ferry into Cantabria, you’ll see that this is a region with a lot to explore. 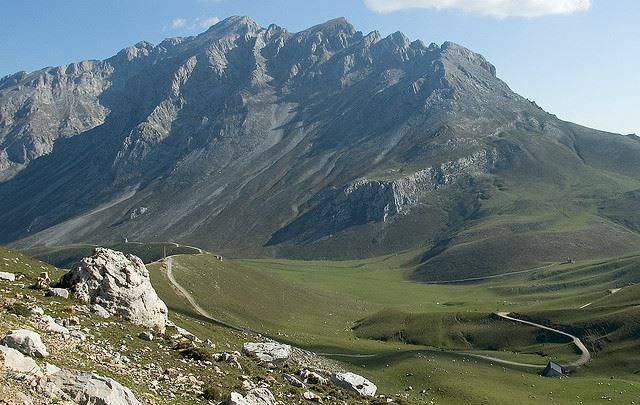 We recommend a visit to one of the caves which we wrote about here and the Picos de Europa National Park is pretty stunning as well. We recommend you stay overnight and hike into or drive by the lovely woodlands and valleys – you might come across a wild boar if you play your cards right. The bears are harder to meet. Take the cable-car trip at Fuente De and now that the Aliva Hotel is open you could even overnight up there. It’s a unique experience – tucked away up in the mountain tops. Give it a go! 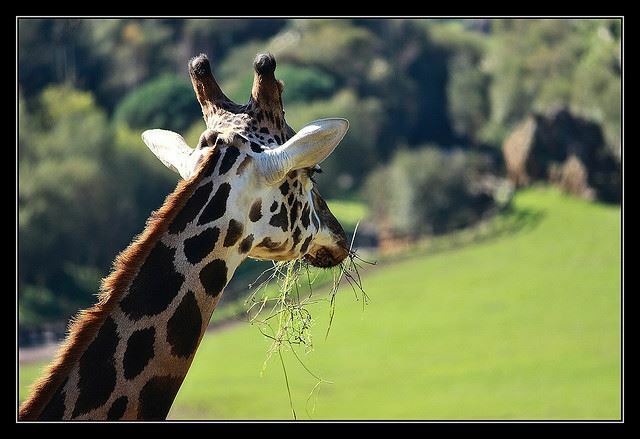 Closer to the city and more suited to family groups with children is the Cabarceno Wildlife Park. This is a conservation park with hundreds of walkways and lots to see and do. Bring a picnic or have something at the restaurant. Try to time your visit to see the birds of prey display. 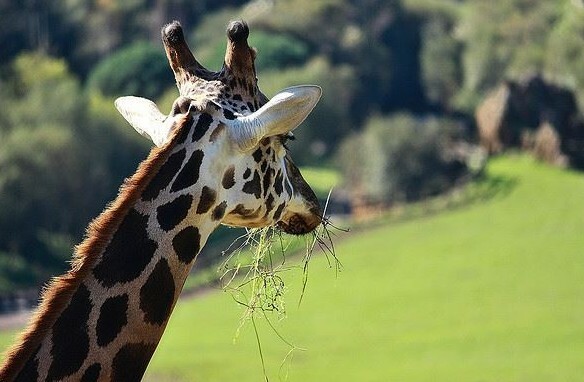 You should consider the VIP passes called the ‘Visita Salvaje‘ meaning a wild-visit which includes up close one-on-one with the animals (in the company of a guide). If you like your fins, you should call into the Maritime Museum in Santander. it’s a hugely popular spot for kids of all ages – and don’t miss the views of the bay on the top. 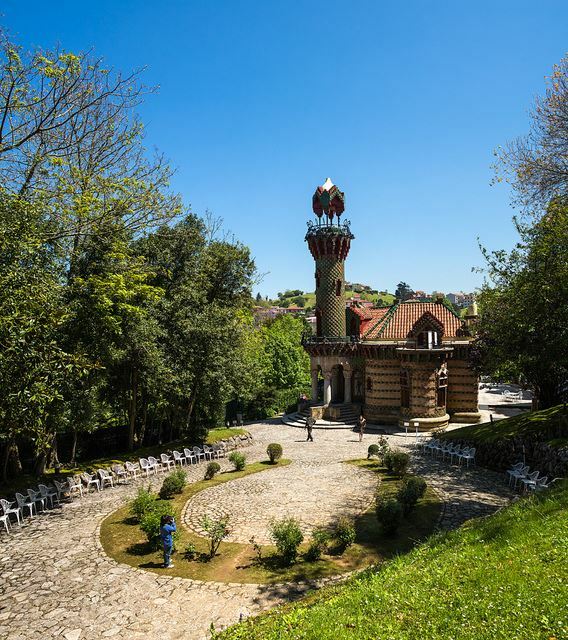 You’re spoilt for choice in Cantabria where you’ll find interesting and unusual castles, towers, lighthouses, squares and bridges. 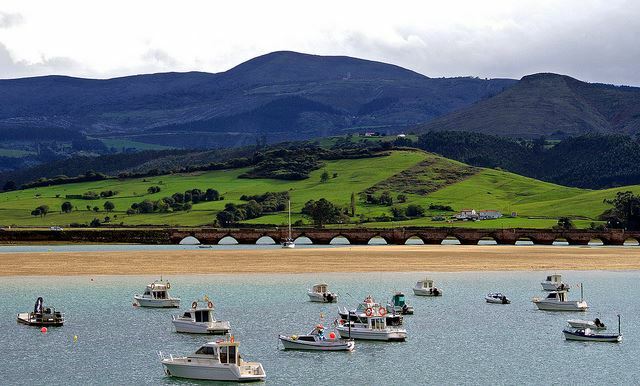 You can pick and choose between the coastal towns and villages with a maritime flavour such as San Vicente de la Barquera and Comillas. Don’t forget to see Gaudi’s El Capricho (The Whim) there. We also enjoy visiting the towns and villages inland. How about Villacarriedo for lunch in the palace? And an evening wander around the medieval town of Santillana del Mar is also enjoyable. If you are arriving into Santander, make sure to explore Puertochico’s Paseo de Pereda and surrounding streets. And see how the only Renzo Piano designed building in Spain is getting on. It’s the Banco Santander family that has commissioned the Centro Botin. It won’t be finished this year but the grounds have re-opened to the public. 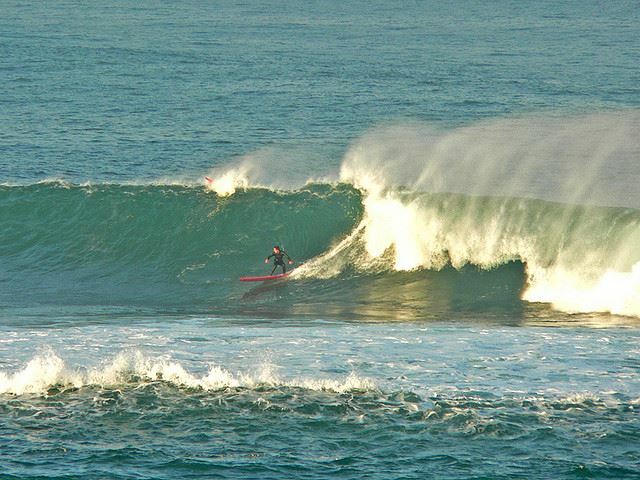 The coastline of Cantabria is as pretty as it comes and you’ll find some great surf schools dotted all along the coast. We’ve worked with the schools in the Ribamontan area and regularly organise family packages with them. This area is very convenient for families as its near the airport and ferry port with lots of services nearby. You can hop on the Pedrenera to get to the city and tour the bay but you have the benefits of being based in a chilled-out surf town. Cantabria is a great place for sailing as well. 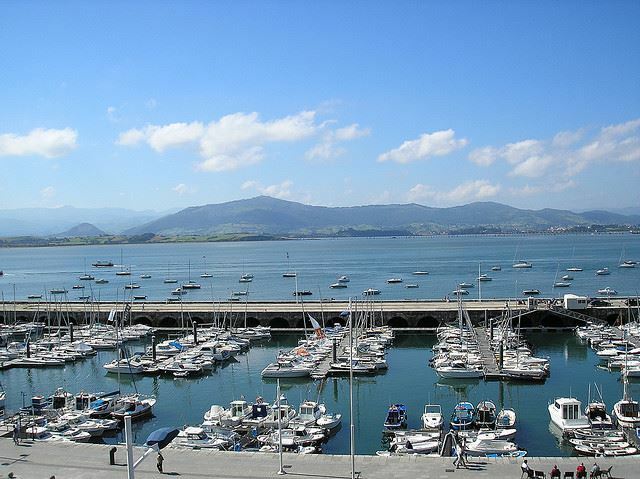 In September 2014, the city of Santander hosted the ISAF World Sailing Championships. Get a taste of what the bay looks like in our post from the Sailing Trials and see our City Guide for the event too. Did you know you can also try canoeing, rowing, white-water rafting, paddle surf and kite-surfing in many locations in Cantabria? And for those who like to walk by the coastline, you can take in some of the Northern route of the Camino de Santiago in Cantabria. If that hasn’t convinced you to come to Cantabria in the summer holidays, have you seen the short video of the boat trip from Santander out to the Puntal beaches? Posted in Active breaks, Beaches, Camino de Santiago, Cantabria, Caves, Family Breaks, Food & Drink, Gaudí, Green Spain, National Parks, Santander, Wineries and tagged bay, boats, bonito, Cabarceno Wildlife Park, Cantabria, cave paintings, El Capricho, El Puntal, Gaudi, Green Spain, holidays, Maritime Museum, Paseo de Pereda, Picos de Europa, rabas, Santillana del Mar, sardines, Spain, summer, Surfing, UIMP.